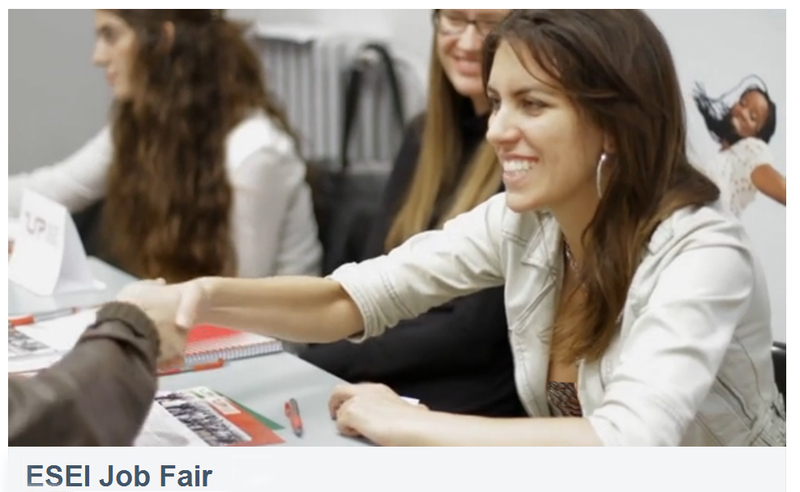 On the 27th of September, Talent Search People had the pleasure of being able to participate in a job fair organised by ESEI – An International Business School in Barcelona. The event´s goal was to create a space where young students could get a little closer to the job market. To do this, rounds of interviews were organized, where our consultants, Maurizia di Mascio and Soledad Sánchez, got to meet lots of candidates with fantastic potential. Alongside these quick interviews, the students had the opportunity to attend interesting presentations about current employment and career opportunities, given by various international companies.